SEA-FRESH FISH, DELIVERED YOUR WAY Arriving on the shores of Dubai earlier this month, fresh local produce and a team of culinary wizards from all corners of the world alongside, The Fish House has brought a unique and fresh new experience to Dubai’s social dining scene with its personalised boat to table concept. 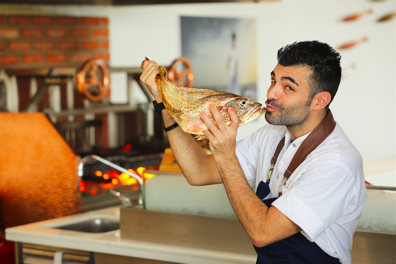 Boasting an interactive cooking style, comprising of a large open kitchen, signature grill and cold bar, The Fish House invites guests to enjoy and appreciate the art that goes into each individual dish created by its hand-picked team of world class chefs. 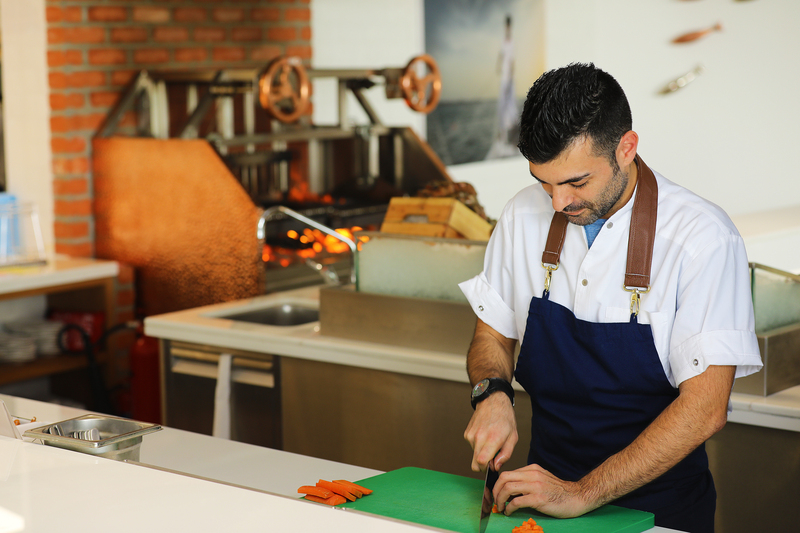 Head Chef – Matteo Guerra brings with him a whole host of tastes, cooking styles and inspirations from his time spent working his way around the world. From Denmark, France and Germany to Canada and the Middle East, Chef Matteo is a true master of culinary art. Originally from Italy, Chef Matteo enjoys simplicity and freshness when it comes to his food, as well as the opportunity to share dishes and try new things with family and friends. His inspirations and personal touches can be seen via the offering at The Fish House, with sharing seafood towers, light, fresh flavours and international influences throughout. With bright, airy interiors and a beautiful spacious terrace overlooking the renowned IMAGINE water, fire and laser show over Festival Bay and the Dubai Creek, The Fish House is the ideal spot for a casual lunch with friends, family dinner or drinks by the bar. “My favourite dish has to be our seabass with rock salt, simple but bursting with so many flavours and presented exquisitely. The portion is generous and great for sharing so I of course love the Italian element to it, it has to be topped off and enjoyed from our open-air terrace.” – Chef Matteo.